The holiday season is here, time to lace up your skates and hit the ice at Safeway Holiday Ice Rink Union Square! A San Francisco tradition presented by Alaska Airlines will offer fun-seekers of all ages to enjoy a magical adventure beginning November 2, 2016 – Monday, January 16, 2017. Families to friends or couples to colleagues, everyone can surround themselves by the festive lights and the joyous sounds of the season. 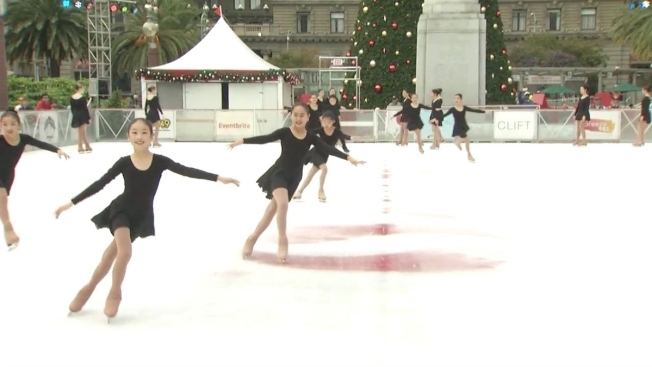 Novices and naturals alike will love the outdoor ice skating experiences in the middle of beautiful San Francisco. Private Parties: Available on Mondays and Tuesdays during the 6PM & 8PMsessions. On or before 12/13/16: $3050 for the 6PM session and $4050 for the 8PM session. On 1/9/17 or 1/10/17: $2250 for the 6PM session and $2850 for the 8PM session. Sessions not open to public if sold to a private party.